Somehow time seems to get away from me! Wasn’t it just January and boom…now it’s the beginning of March! 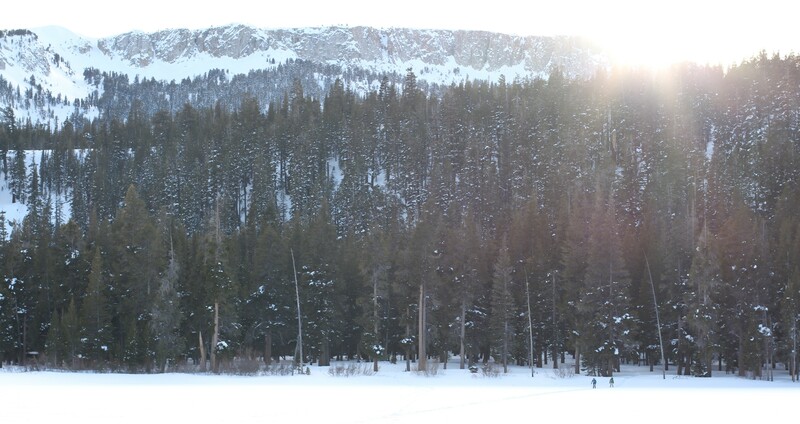 As I was scrolling through some photos, I reflected back on how fun my trip to Mammoth Lakes was this past January. Mammoth is one of those places I’ve been going to for years and it has a special place in my heart. While I’m a girl who loves getting dressed up, I’m also one who loves the outdoors and taking in the beautiful places God created. Since Mammoth has been receiving a ton of snow lately (thank you El Niño! 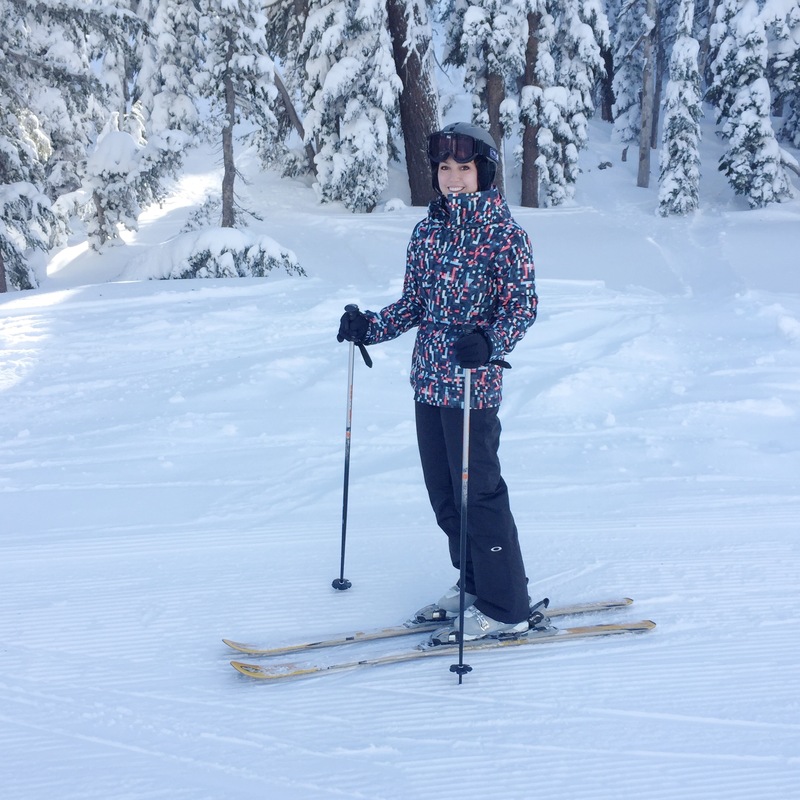 ), today I wanted to share a little travel guide for anyone interested in hitting the ski slopes over Spring Break! Where to Stay: While I wish I could list a ton of suggestions here, I’ve honestly only stayed at one place in Mammoth! Where to Eat: Now this is a hard thing to narrow down because there are so many good places and I love to eat, but here are my top picks! Angel’s Restaurant – Just thinking about this place has me salivating! I love their trip-tip chili, pulled pork, and biscuits! This place is definitely my favorite. Giovanni’s – I’ve tried so many pizza places in Mammoth, but this one is always good! They also have great salads and the garlic bread is so yummy. 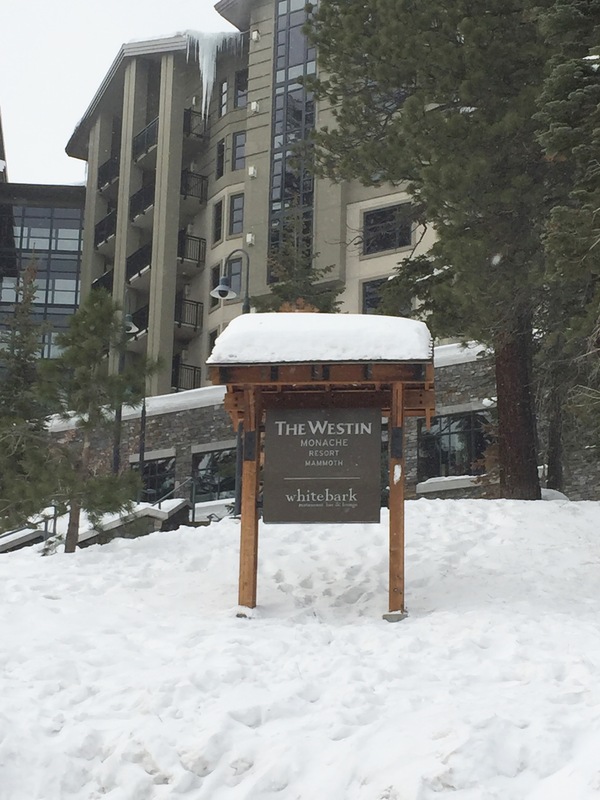 The Whitebark Restaurant, Bar, & Lounge – I haven’t actually tried this place for dinner, but from what I’ve heard, they have the best sushi in town! I have tried many of their breakfast options though and they have the best parfaits (the granola is so good!!). Outpost 14 BBQ – If you find yourself on the backside of the mountain, I highly recommend trying Outpost 14! Not only does this place offer a gorgeous view, but good homemade food. Chili, BBQ, soups…all perfect mountainside foods! Do yourself a favor and buy a homemade oatmeal raisin cookie if they have them. What to Do: While the obvious winter activity is skiing and snowboarding (I’m actually a skier! 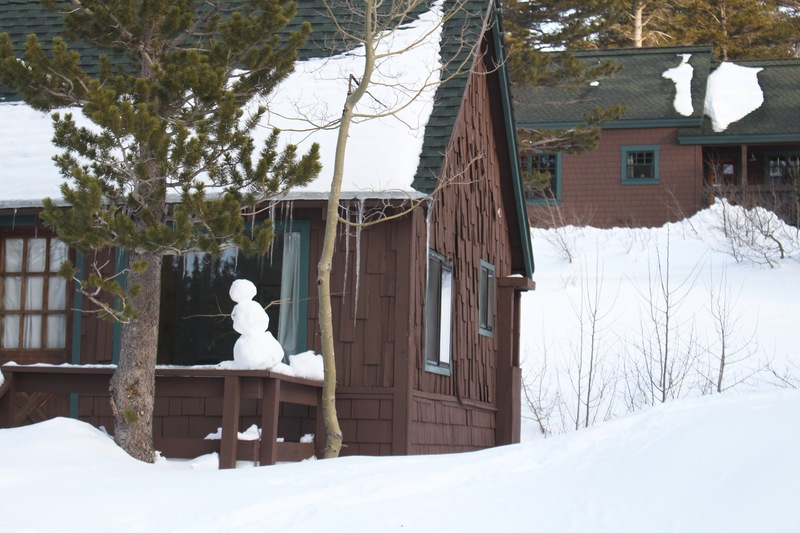 ), I wanted to share some other fun things to do when you’re not on the slopes! Hang out in the Village – Whether you’re interested in grabbing a few drinks and a meal post-skiing, doing some shopping (gotta love all the Mammoth merchandise! ), or looking for a place to chat fireside with friends, the Village has a little something for everyone. Visit Twin Lakes – Less than a 10 minute drive from the Village, this place is beyond gorgeous (see it in first picture of this post). The lakes are usually frozen over and covered in snow during the winter, but you won’t regret checking this place out. Try Woolly’s Tube Park – I’ve never tried tubing at Mammoth, but I’ve done it in Big Bear and it was really fun! If you’re taking the day off from skiing or have little kids, this would be a great activity. 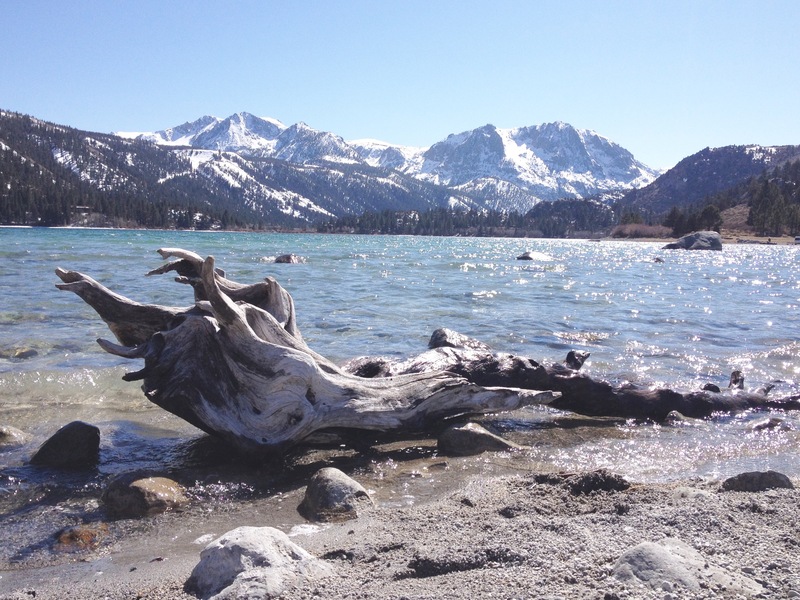 Drive over to June Lake – While about a half hour away from Mammoth, June Lake is a cute place to visit with amazing views! 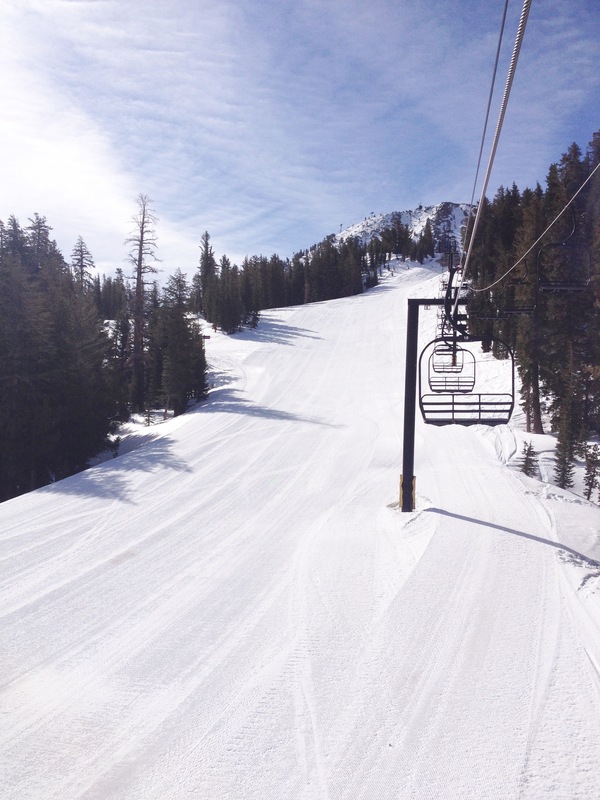 Also, if you’re looking to escape the crowds from Mammoth Mountain, June Mountain offers good skiing in a smaller setting. 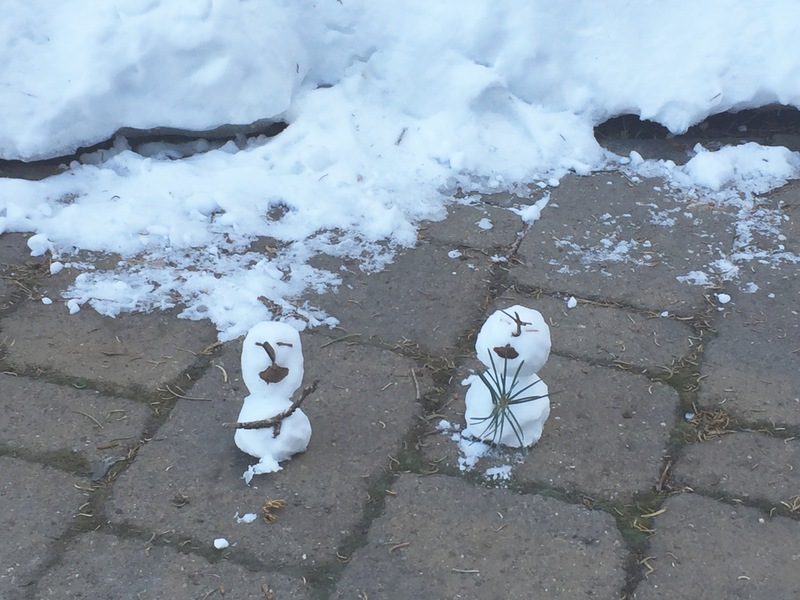 How cute are these little snowmen somebody made?! Thanks for reading! I hope you enjoy this Mammoth trip guide! If you’ve ever been to Mammoth I’d love to hear your fave things about it!